There are 14 parks and/or greenways in the Morristown Parks system. Eight of the parks have playgrounds. 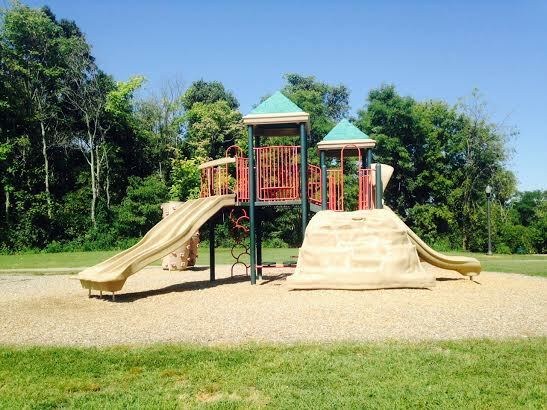 Dr. Martin Luther King Park is located at 350 W. Ninth North Street, sits on eight acres at the top of a hill. The view is almost 360 degrees and from the entrance of the park. one can see Clinch Mountain and the Cumberland Gap. The park is very amenable to family activities. There is a pavilion and picnic facilities a short walking trail, a seasonal butterfly garden, restrooms and a playground with one piece of equipment. It is used by families and church groups for reunions, birthday parties and other events. One thing that could improve the experience would be additional equipment to accommodate children with disabilities. MTFD is currently receiving donations to provide two swings for children with disabilities. If you wish to support this effort, please send donations to Morristown Task Force on Diversity c/o Rose Center, 442 W 2nd N St, Morristown, TN 37814.